Written on August 24, 2012 . Posted in Fine Arts, Updates from & for Faculty. 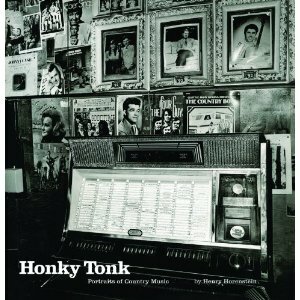 Forty years after Henry Horenstein (Professor, Photography) began documenting the country music scene in and around Nashville, his love for the music and its people continues. This updated collection of 120 black-and-white photographs from 1972 through 2011, to be published September 3, captures familiar stars and venues and their enthusiastic fans. The publication of Honky Tonk: Portraits of Country Music complements an exhibit at Carroll and Sons, Boston, Mass., opening September 5th and running through October 27, 2012. Henry Horenstein has authored more than two dozen books, including the classic texts Black & White Photography and Beyond Basic Photography, and monographs such as Animalia, Show, Close Relations and Racing Days.